Jack Burkman, the controversial lawyer offering a $130,000 reward for information on the murder of Democratic National Committee staffer, Seth Rich, was attacked outside his home Tuesday. Jack Burkman, who made headlines in 2016 by offering a $130,000 reward for information on the mysterious murder of DNC staffer Seth Rich, was reportedly attacked Tuesday. Local police told The Washington Post they have not yet determined the perpetrator’s identity. Trump campaign official Rick Gates, who is under investigation for fraud and conspiracy due to his overseas lobbying activity, recently appeared in a video shown at a fundraiser that Burkman organized to raise money for his legal defense. “We’ve confirmed the source and their identity and who they are,” the GOP-connected lawyer added. 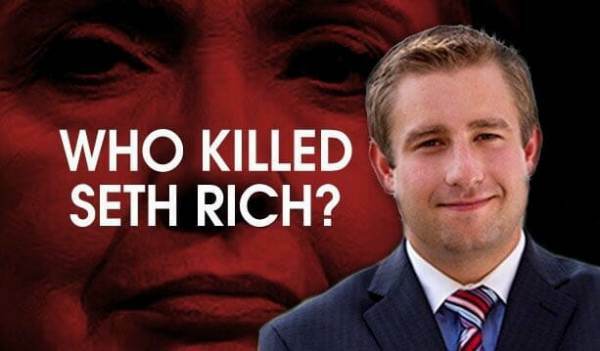 As reported by The Gateway Pundit‘s Jim Hoft, 27 year-old Democratic staffer Seth Conrad Rich was murdered in Washington DC on July 10, 2016, roughly one block from his apartment. The suspects took nothing from Rich, leaving behind his wallet, watch and phone. The murder has gone unsolved to this day.